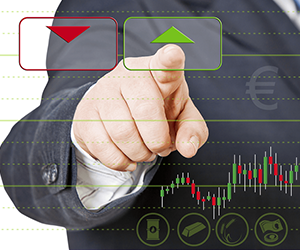 Find out about a vast choice of Options types for trading. options provide traders with a vast choice of options trading types. If you prefer diversity in trading options then such possibilities of trading options allow for unparalleled possibilities to make money as you like it and when you like it. With options you usually start trading using the most basic and understandable options trading types, such as High/Low. Then when you up your skills and experience you can advance to more elaborate options. With High/Low or Above/Below types of options you can choose a market point of a price entry offered by the broker and decide if it will be surpassed or not. With Pairs options types you compare not a single price movement, but the correlation of two assets to each other, for instance, comparing prices of Gold and Silver. With this option you just need to know which asset performs better or worse than the other one to receive a substantial margin of profit. Long Term types of options contracts allow traders to make their choices on a slower pace, as the minimum expire time for any contract is in the range of several days. This feature would appeal to those who have experience in the stock market, as the primary focus of the trade is performance of an asset over a longer period of time. 60 Seconds trading is on the contrary a much faster way to make profit on a time-frame 60-300 seconds. If you are used to making instant choices in an ever-changing environment then these are options types that are right for you. With One Touch option traders should decide whether a certain stock will reach a specified price over a period of time or not. This decision should be based on your extensive knowledge of performance of this stock and market new that may influence the volatility of market. Touch in Time is similar to the previous options types, but the time frame is limited to several hours. You are given a price-corridor and you should choose if it is breached at any time or not. Such a chance is easy to use if you know that the market will be volatile at any given time in the future. RollOver feature gives you a sometimes so needed chance to extent the expire time of your trade if for some reason the price is just not right. And it can be done by a mere 30% increase in your investment. A bargain I would say! Double Up feature is contrary to the previous one, as if the market is going in the right direction you can actually double up on your investment to receive twice as much profit without extending the expiration time. Sell Option gives you a chance to buy-out your trade up to one hour before the end of trade if you feel that the market is about to reverse. This way you can protect your profits and minimize loses on any major asset you hold.